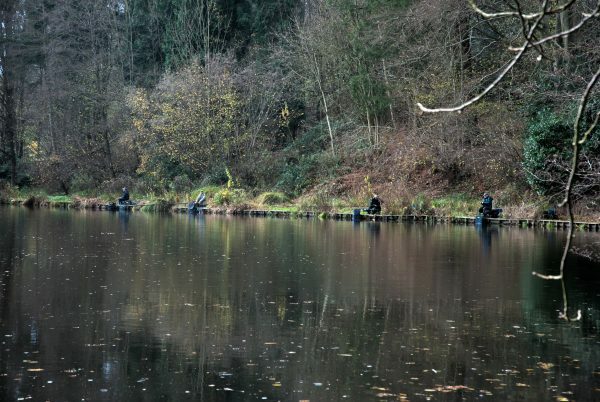 Experienced anglers will tell you that when you want to keep your fishing game strong, keeping an eye on the weather forecast needs to become second nature. Cold fronts, heat waves and rain all affect fishing activity differently, but a little rain doesn’t have to keep you inside. I’m not saying it’s okay to launch your boat when there’s lightning, but fishing in the rain never hurt anyone and it can actually improve your odds of catching fish. Rain creates surface commotion, causes current in the rivers and feeds nutrients into a body of water, all of which can lead to improving the bass bite. Here are 3 tips for fishing in the rain. Raindrops create quite the disturbance on the water’s surface. Furthermore, likely cloud cover during a rainy day means low visibility, which means topwater lures are a great idea. When it’s raining, fish are more likely to hunt for prey, making them more prone to explode on a topwater bait such as a Zara Spook or a buzzbait. With this in mind, keep a topwater rigged at all times and target areas like points, ditches or ledges to capitalize on this boost in aggression that rain causes. Increased cloud cover during a rainy day means bass will be moving around a bit more than when the sun is high. This means that your favorite shady honey hole might not hold as many bass during rain as it did during sunshine. To quickly locate roaming bass, use a fast presentation to cover more water. For instance, if you’re using a spinnerbait, quicken your retrieve a bit. Furthermore, it’s also wise to speed up any presentations you’re currently fishing. If you’re throwing a plastic worm, for example, feel free to work it a little faster as you pick apart cover. The idea is, bass are generally more aggressive when it rains, so you shouldn’t have to work as hard to draw a strike. When it rains, the increased water runoff brings new nutrients into the water, which attracts baitfish and, in turn, bass. This means any places where there’s runoff coming into the lake will likely be holding fish. Bass will actually move quite far from their typical haunts to find these drainage points and feed on bait along mud lines, culvert pipes and creek inlets. When the rain is really coming down and creating a lot of new drainage into the lake, I’d start my day targeting these spots.